With so many top free Drupal templates available online it’s hard to choose the best one. These templates are totally free. And they can be found easily online with many websites offering them for free downloads. These websites offers many templates to suite your separate tastes or needs, ranging from professional business websites to personal blogs or even photography websites.You can also check Free Joomla Themes. 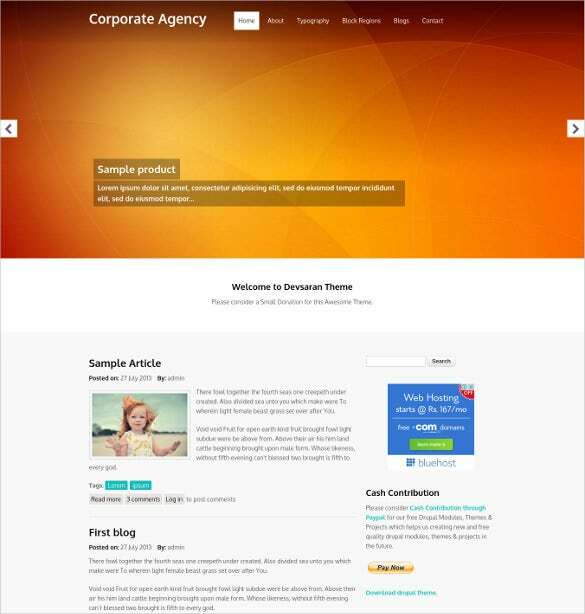 The free corporate agency Drupal template is a beautiful and classy looking Drupal template that will be the ultimate choice of all the companies who are looking for a design for their website. The free mobile website Drupal theme is a beautifully designed dark themed Drupal template that can be used to create the ultimate mobile website to promote your emerging company. 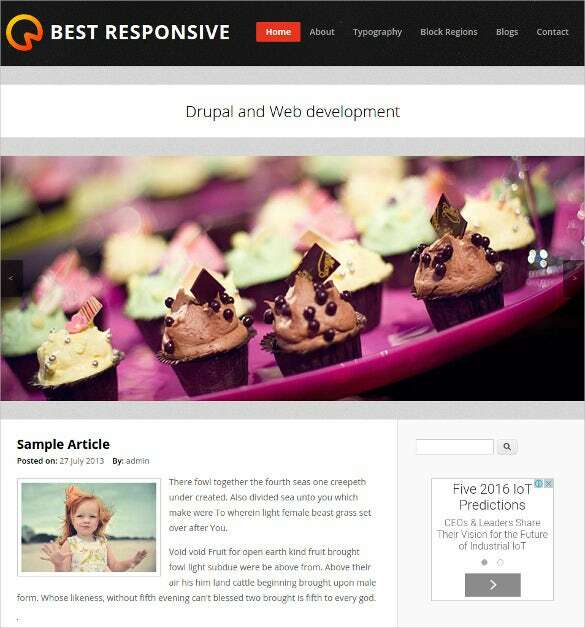 The free media website Drupal template is a simple and beautifully designed Drupal theme template that has a clean UI which is perfect for media companies to display latest news. 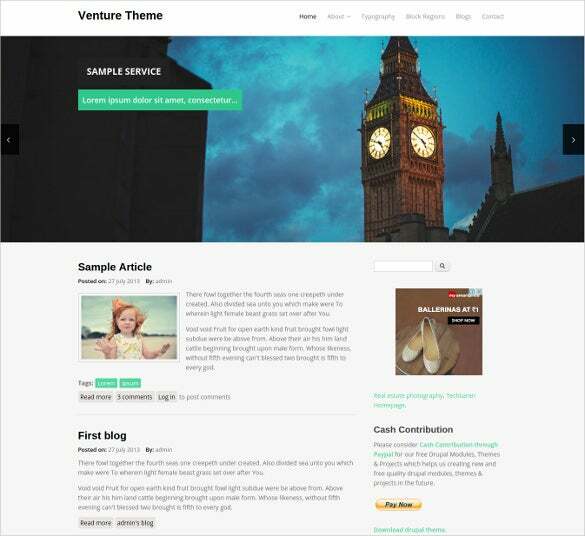 The free venture website Drupal theme is an awesome looking Drupal template that helps you to create a beautiful website. Click on the free demo to know all the features. The free WebMate site Drupal theme is a simple looking Drupal theme template that can be used by any company to create a classy looking website to promote their business. The free Drupal blog template is an elegant looking Drupal theme template that has been created to be used only as a blog site. The UI is clean and the blog thumbnails look awesome. 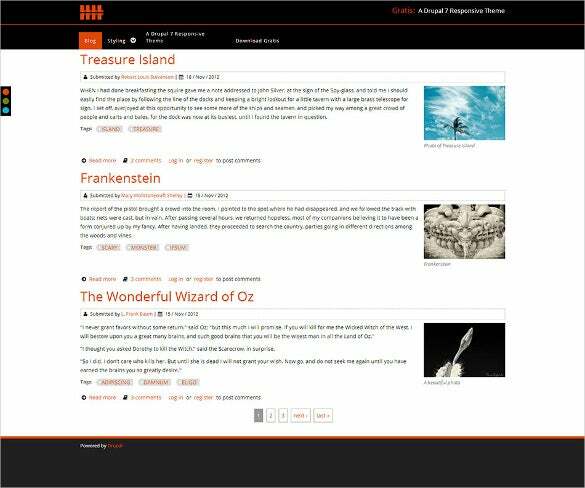 You get free templates for all of these websites and more. 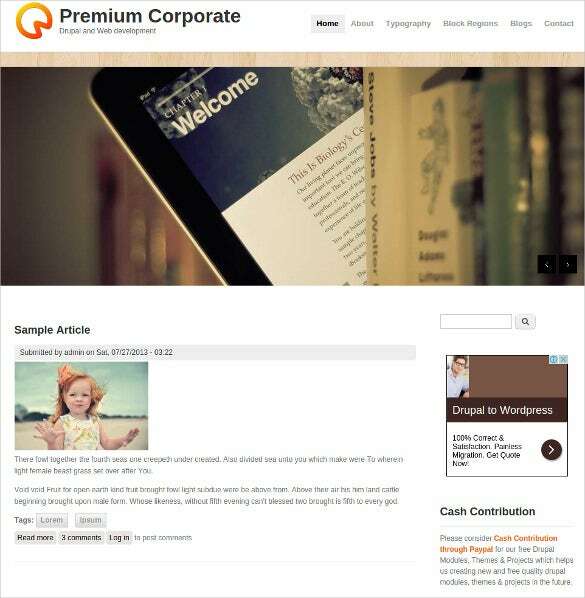 The Drupal templates are unique and it conveys the taste of the website very well. These templates are stylish and come with premium features like drop down menus, slider effects and more. You will be extremely satisfied with these top class templates. Among the most well known Top Drupal templates is Bluez which is a business template designed to give your company’s site a professional and classy look. Day and night is another very unique Best Drupal template designed for bloggers who crave for a bit or artistry. This template offers cascading menus which look really good with its blue and white background, not to mention the drop down menus which make the site look stunning. 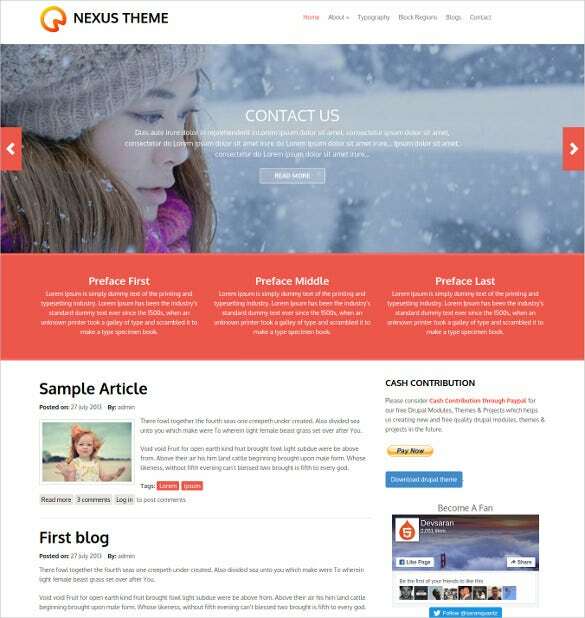 These are just the tip of the ice berg so go make sure you get the best Drupal template design for your needs.